Mattie Kathleen McMillan, 84, died peacefully Sunday September 16, 2018 in the home she shared with her family. A lifelong resident of Parkton, she moved to Ellwood City, PA in 2012. She was a graduate of Parkton High School, Class of 1952. Mrs. Kathleen loved to garden, sew clothes for her grandkids, and bake pies and cakes for family gatherings. She had the gift of “Hospitality”, opened her home and made everyone welcome. She always remembered her grandkids with packages of “Rice Krispies” and Lifesavers. With her family, she operated Mac’s Grill and Gas in Parkton from 1972 until 1977, when she became a caregiver for her parents. Mrs. Kathleen and Neill loved to travel to Pennsylvania and Florida to see their grandsons. They waited 57 years to have a great granddaughter and Kathleen’s title became “Greatest Grandma Mac”. She was preceded in death by her husband of 57 years, Neill Arch McMillan; parents, J.M. & Elma Butler; and sisters, Betty Lou Watson and Shirley Smith and infant brother Colon Butler. She is survived by sons, Tom McMillan and his wife Debbie and Steven McMillan and his wife Patsy; daughter, Connie Lehman and her husband John; brother, J.M. Butler, Jr. and his wife Patsy; and sisters, Frances Canady and Mary Martinez and her husband Marty. 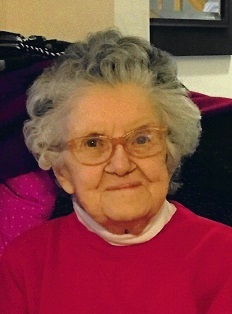 Kindly referred to as “Grandma Mac”, she is also survived by 7 grandsons and 13 great grandchildren, Chris Grant and his wife April Faye, and their children Ashlee, Nathaniel and Nickolas; James McMillan and his wife Emily, their son Kaleb; Paul McMillan and his wife Melissa and children Kinley and Blake; Mark McMillan; Jonathan McMillan; Dan Kerr and his wife Jamie and grand pup “Parker”; Matt Kerr and his wife Sarah and their children Neill, Benjamin and Hannah Katherine. John’s grandkids, Ashlyn, Cole, Emma and Anna.The family wishes to thank their special helper, Jessica Freed and the Gateway Hospice Team of Pittsburgh, Jaimi, Jordan, Denise, Sierra, Marcy, Lisa, Kaci, Debbie and Wayne the Chaplain for their help and dedication to Kathleen and the family. A graveside service will be held at 2 PM Saturday 9/29/2018 at Parkton Cemetery and the family will gather at Green Springs Baptist Church following the service for continued fellowship and remembrance. The family suggests memorial contributions to the Parkton Fire and Rescue, 2704 W. Parkton Tobermory Rd., Parkton, NC 28371, in lieu of flowers. Arrangements by McNeill Mackie Funeral Home.